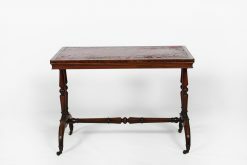 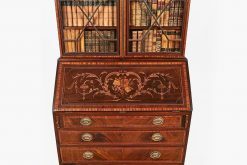 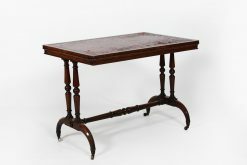 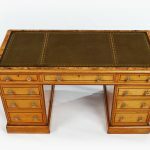 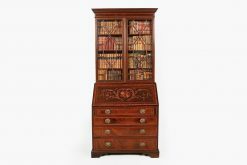 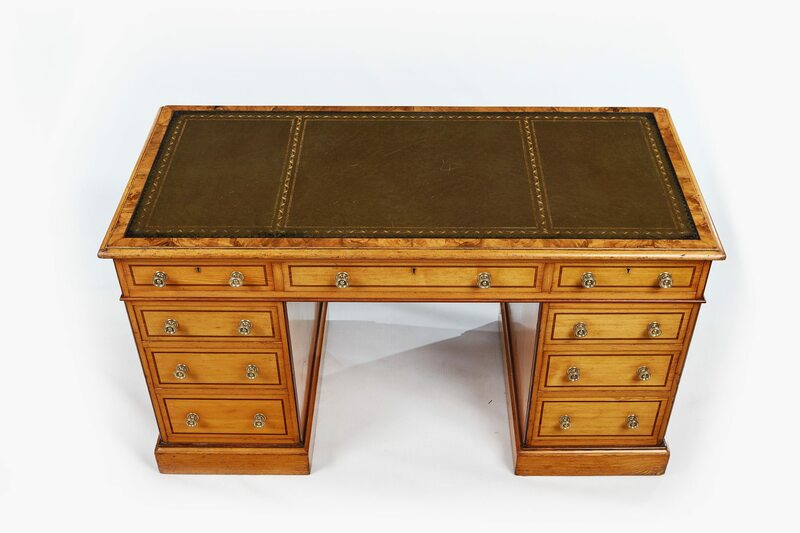 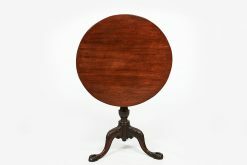 19th Century Elm wood pedestal desk with burr elm inlay and tooled leather and gilt writing surface. 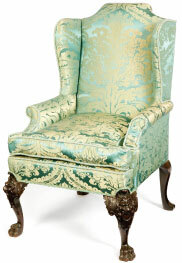 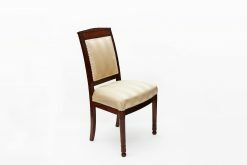 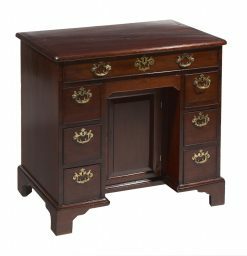 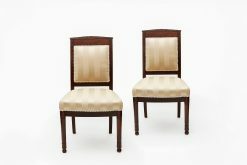 Each pedestal with an arrangement of four drawers, a central drawer above kneehole. 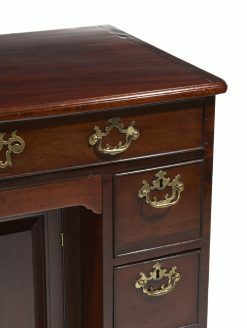 All with turned brass knobs. 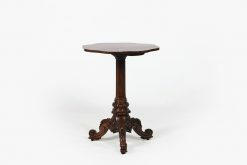 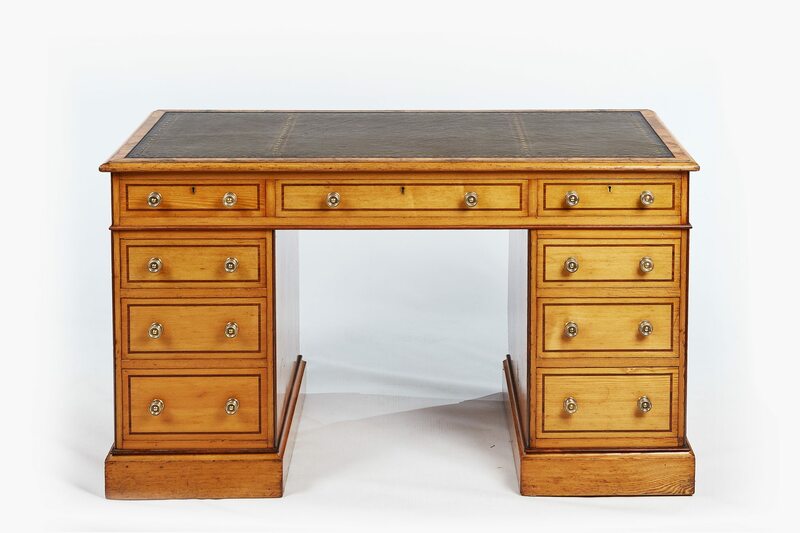 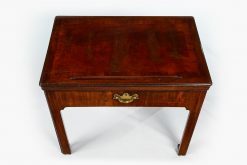 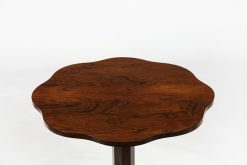 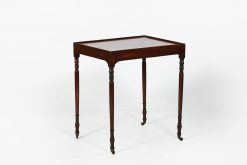 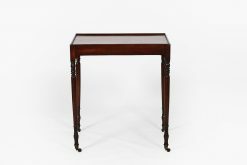 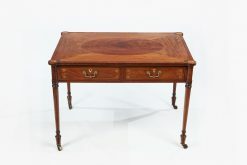 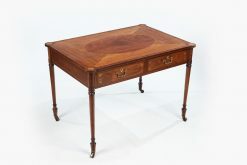 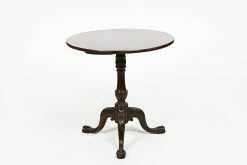 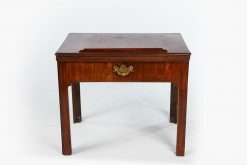 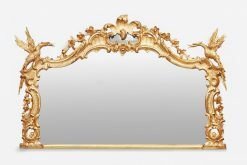 To enquiry about "10028 – 19th Century Elm Wood Pedestal Desk", please complete the below form.